Enliven Internship - Aiming for Success — Enliven Production Group, Inc.
Enliven Production Group proudly offers a formal internship program to help prepare college students for working in a full-service event design and production environment. Enliven’s first position was for a Graphics Designer/Video Production Intern. Held at our new facility in Phoenix, this part-time position was a 90 day program that spanned from March through June, 2017. The intern needed to be an undergraduate student pursuing a degree in graphic design and video production, or similar. He or she needed to be proficient and and have extensive knowledge of Adobe Creative Suite software and Apple software including Keynote, Final Cut Pro, and Motion. The intern also needed to have hands-on experience using both studio and DSLR digital cameras for capturing motion video and still images. This individual would be given the opportunity to apply their knowledge and skills while learning what it’s like to produce internal content for a production company, and to learn the intricacies of the event industry. 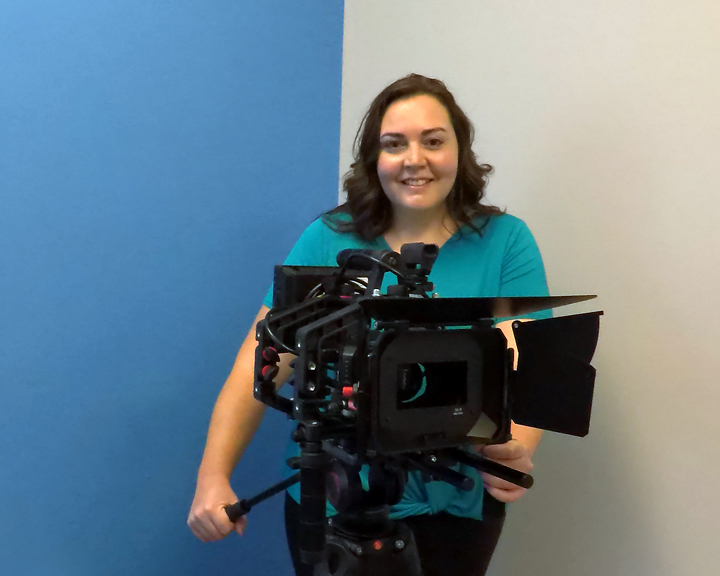 Under the guidance of team members, this intern would help develop and produce graphic and video content to support Enliven’s internal marketing efforts. Assigned projects were designed to help heighten Enliven’s brand for increasing brand recognition, enticing new business opportunities, and for strengthening existing relationships. Since March, 2014, Lauren has also held two positions. First, she’s currently a Filmmaker/Instructor at No Cents, LLC in Cave Creek, AZ. There she produces, writes, directs and edits short films, works closely with actors, hires and manages key crew members, all while teaching filmmaking to students from ages eight to sixteen. Previously, she was a teacher at Young Rembrandts in Scottsdale, AZ. There she instructed children from ages five to twelve, oversaw their attendance, supplies, setup and cleanup, and escorted the children to and from class. We found Lauren to be hard-working, efficient and eager to take on the next task. Her quality of work was excellent, and she was a genuine pleasure to work with. We learned towards the end of her internship that she was awarded another full scholarship, the SCC Elizabeth Reilly Alexander Memorial Art Scholarship, for her final upcoming fall and spring semesters. We were proud to have Lauren Berkley as our first intern, and we wish her all the success in the future. Older PostOh, What a Night!